David, our tech, was courteous and professional. He was also punctual. I would request him again. 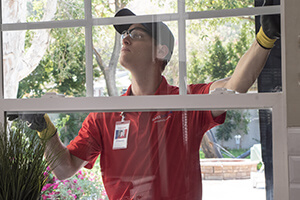 The new replaced glass has stronger insulation than the windows installed by Del Webb. Thank you Glass Doctor!!! On time, nice clean work, friendly. Enjoyed having them work in our home. These guys were fantastic, you would never know that they had been here, cleaning up everything and very polite.